VISHAY Intertechnology, represented by Braemac , has announced the release of three new devices in the MFU series of thin film flat chip fuses that offer quick-acting fuse characteristics with rated current values up to 5A as well as stability verified in accordance with UL 248-14 and IEC 60127-4. The Vishay Beyschlag MFU 0603 and MFU 0805 devices are rated for a current range of 0.5A to 4A. 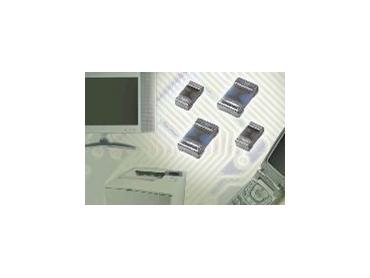 However, the MFU 1206 devices feature rated current values up to 5A. Rated voltage is 32V for the MFU 0603 and MFU 0805 and 63V for the MFU 1206. At these rated voltages, the devices provide a breaking capacity of 50A. The new MFU 0603, MFU 0805, and MFU 1206 are designed to provide secondary overcurrent protection for power inverters, motion-control units, dc-to-dc converters, battery chargers, and low-voltage power supplies in information technology, telecommunications, automotive, medical, and audio and video systems. Available in standard metric case sizes - RR 1608M [1.55mm by 0.85mm by 0.45mm] for the 0603 chip fuse, RR 2012M [2.0mm by 1.25mm by 0.45mm] for the 0805 chip fuse, and RR 3216M [3.2mm by 1.6mm by 0.55mm] for the 1206 chip fuse - the thin film flat chip devices integrate easily into a broad range of end products. A highly controlled manufacturing process, combined with Vishay's advanced thin film technology, yields very quick-acting fuse characteristics for highly predictable performance even in sensitive electronic systems. An extensive testing procedure is performed on every device, each of which features a coating that protects against electrical, mechanical, and climatic hazards. The MFU 0603 and MFU 0805 are certified by the Underwriters Laboratory, and both are listed under UL E253806. The MFU 0603, MFU 0805, and MFU 1206 support lead (Pb)-free soldering and are suitable for processing on automatic SMD assembly systems using wave, reflow, or vapor phase processes. The terminations for the new lead (Pb)-free MFU chip fuses are pure tin on nickel plating. The immunity of the plating against tin whisker growth has been proven under extensive testing. All products comply with the CEFIC-EECA-EICTA list of legal restrictions on hazardous substances.